Dr. Kuno was featured in the current number(Feb. 29, 2016) of the AERA. 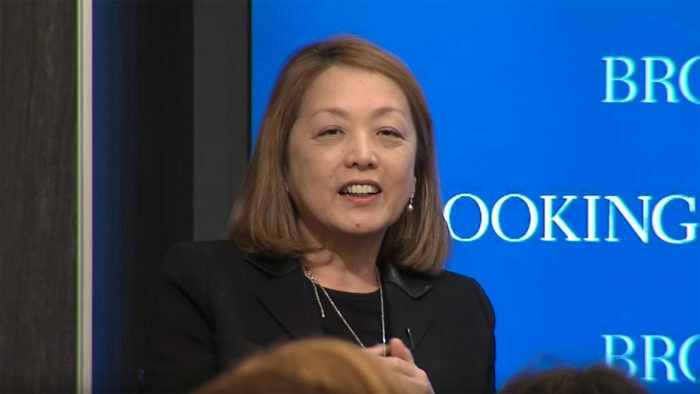 On February 8, the Center for East Asia Policy Studies at Brookings hosted a distinguished group of policy experts and entrepreneurs for a discussion on the current state of female entrepreneurship in Japan and concrete strategies to promote female-run businesses in the country. Dr. Sachiko Kuno joined the panel discussion. 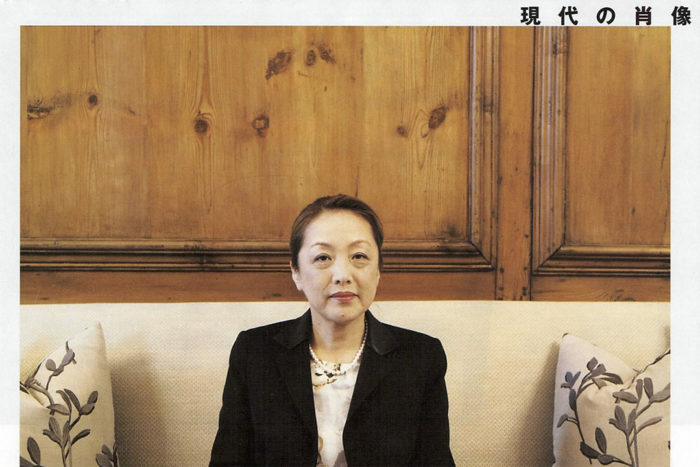 Dr. Kuno was interviewed by Shigeko Bork about her project and ambition. The article was in the local newspaper in Washington D.C.(“Sakura Shinbun”Jan.1,2016). Dr. Kuno and Dr. Ueno are awarded two incredible honors. 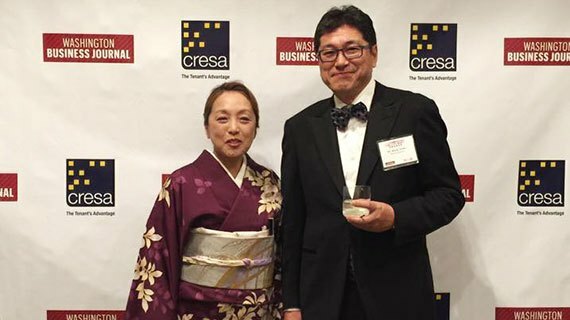 Dr. Sachiko Kuno and Dr. Ryuji Ueno were recently awarded two incredible honors: the Visionary Leadership Award presented by the Mayor’s Commission on the Arts and Humanities, and Philanthropists of the Year from the Washington Business Journal.